Consumers Choice for Comfort – Voted the Worlds Most Comfortable and Effective Anti-snoring Product! How it works – Snoring research has shown that a jaw supporter, keeping the lower jaw in an upward/forward position increases the three dimensional space in the airway, reduces air velocity and soft tissue vibration. 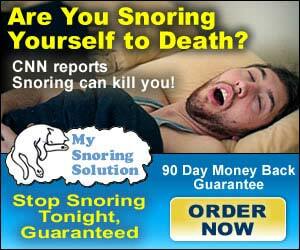 This action eliminates or substantially reduces snoring. Buy today and get a free 7 Steps to Sleep Success Book along with a DVD.